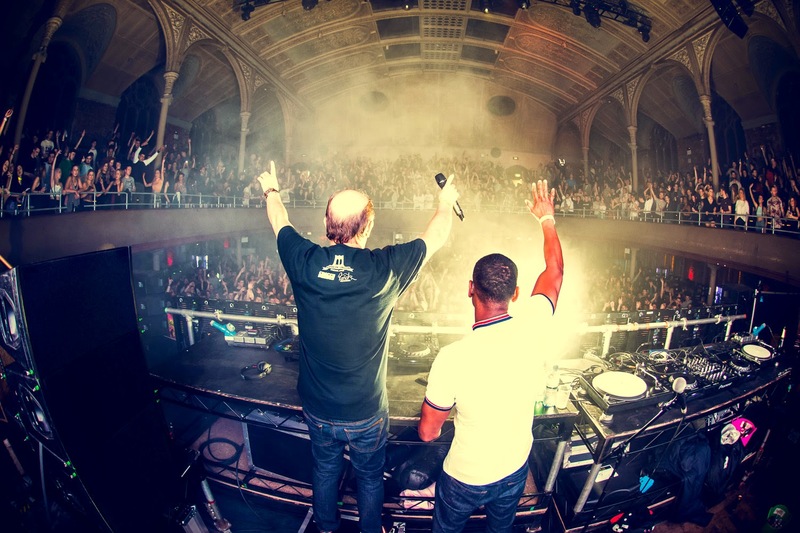 Review: Rodigan's RamJam - Transmission opening night at Manchester's iconic Albert Hall. Admittedly I'm pretty genre-easy. Give me a decent line-up and venue and I’m there. Warehouse Project had always been proof of this, flirting around with a couple of drum & bass nights and then popping to a soft-touch house night. And, when the Transmission line-ups were released I was chuffed I could do it again. Its opener, RamJam was instantly picked up by some of our team, whose unrequited love for David Rodigan is well known. But for me, it was the heavy packed line-up that tempted me (so packed that the DJ’s had about 40 minutes each) and its spiritual home, The Albert Hall. Before I delve more into the night, one of the most important elements of the night was the venue. 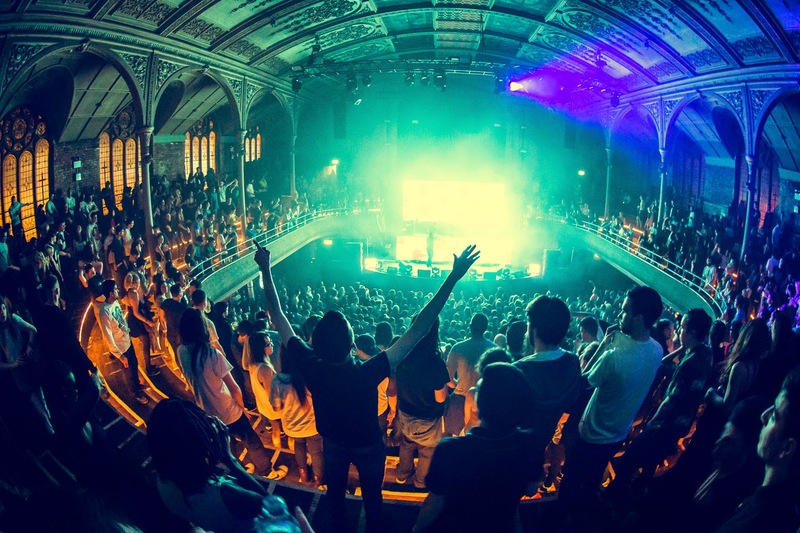 Since opening last year, The Albert Hall has cemented itself as one of Manchester’s leading music venues with a live and DJ calendar that bankrupted most of Fallowfield’s students last year. Restored by the team behind Gorilla, Trof and The Deaf Institute, the abandoned church leaves first timers in awe for a second with its huge main room, centred around a stage with a huge organ surrounded by gorgeous stained windows and decorated ceilings and pillars. You find yourself twirling like a mad-man watching the lights bounce off the surfaces and light it up so atmospherically (big word), perfectly showing it off. Its balcony means you can afford to do this without compromising your view or smacking someone in the face, and the acoustics are almost unrivalled in Manchester. The venue is full of bars so your whole night isn’t spent queuing for a drink (can I get a Hallelujah) and its panelled corridors make it feel like you are at some sick house party, like a classier Antwerp Mansion. So yes, the venue makes me biased, but anything that works both as a club and live music venue deserves a bit of a big up. Arriving we walked into The Street’s phenomenon Mike Skinner. After hearing so much about him it was nice to see the general consensus was right, his set was a nice little mix of house, drum & bass, garage and jungle; exactly what we wanted really to warm us up. Half of me wanted him to take on a kind of MC persona halfway through and release his inner poet but that’d probably ruin his so far pearly reputation as a DJ. Wookie was next, who got the crowd going even more with old-school and new garage tunes giving an ever-so-cool nod to the night by keeping it bass rhythm heavy and reggae inspired. His set kept the crowd captivated and singing along to R&B vocal enthused tracks including ‘Battle’ that reminded you how good garage was. Digital Soundboy head honcho Shy FX then took to the stage, playing a perfect set for the night. Mixing grime with old school drum & bass and a couple of jungle tracks, he got the whole crowd shouting ‘POW’ before anyone knew what’d hit them. Fellow Soundboy Stamina MC joined him, with both bouncing off each other and the crowd, smashing through some classic Shy FX tracks, ‘Feelings’ being the highlight of the centre for us (what a classic!). Those 50 minutes flew by. Showing that us Northern lot know what we’re doing, Sheffield’s Toddla T stepped up after with Serocee. His high-octane set was full of bass-rumbling tunes and dubstep beats that kept everyone dancing, paired with some on-form visuals (true skills from the visual team…). Sealing the deal, guaranteeing the event will go down in history, it was Sir David Rodigan. Welcomed on stage like a hero by his loyal legion of fans, he delivered what everyone was there for. Blasting out reggae and dub tunes, mixing cult classics with new hits and dancehall favourites it was easy to see why people return again and again to see him; the crowd did not stop dancing during his set and his energy is infectious (particularly his biggest catchphrase – PULL UP!). 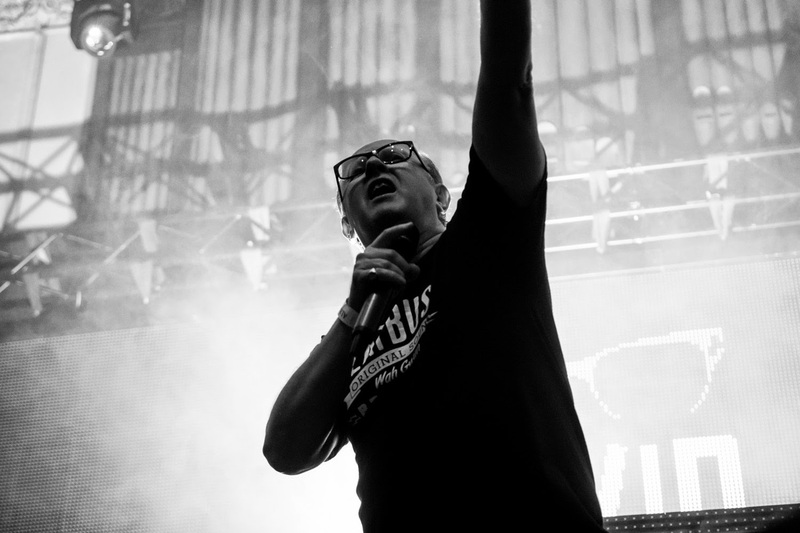 His set was slightly extended by the news that DJ Hype would not make an appearance, and while disappointing who better than the legend of Rodigan to keep the crowd pleased. Randall mixed for him and did impressively well despite Rodigan sitting on the desks, and jumping around and shaking his hips like only he can. But that is just it, it’s his energy and charisma as a selector that makes his nights so fun. It ensures his line-ups are so rammed and that make his fans return again and again. Randall stepped up after, with his set also extended due to DJ Hype’s absence. His set reminded people how drum & bass should be done, delivering some classics right back from the 90’s with the occasional dub flirt chucked in, showcasing his unique vibe. Joined on stage by Manchester’s golden boy MC Tonn Piper, effortlessly showing how good MC’s really can be, reflecting the change in genres and captivating the crowd. For some, I think this was really the set of the night. Despite DJ Hype not appearing, the night felt rammed full of DJ’s. We left feeling knackered (dancing for seven hours does that to you), but exhilarated with bass still thudding in our ears, surrounded by the crowds raving to their friends about how much fun they’d had. The masters of bass music had delivered everything their fans and community had wanted from them; a night of bruising bass, wobbly knees and classic tunes. I’d go a thousand times over and I know anyone else there would too.